What I learnt on board the Avontuur. 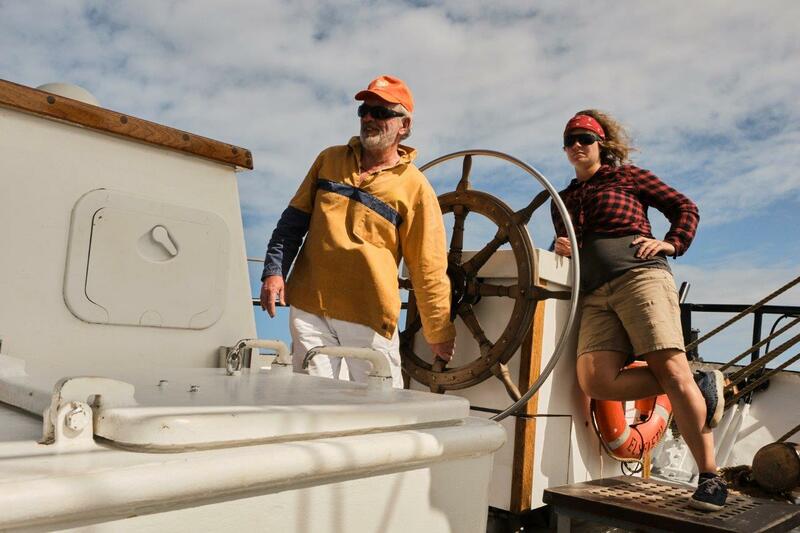 For two months I have been sailing on board the Avontuur and I have since learnt a lot of lessons. As I haven’t been a sailor before, obviously, I am learning how to steer, set and douse sails and a lot of terminology. 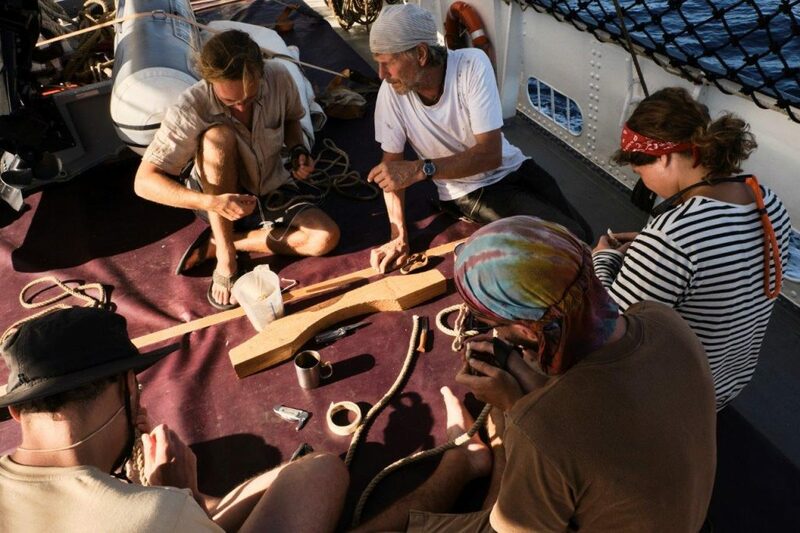 Being lucky and sailing with really experienced seamanship, I have also gained an insight in craftsmanship and traditional techniques for working with rope and other rigging equipment. I realised that these are century-old methods and techniques which are slowly being forgotten in our modern world and I am really feeling proud that this knowledge is shared among us on board and, hopefully, kept alive. One of the most stunning experiences is seeing so much love and passion for the work and the ship in some of the people here. Loving what you do is also a lesson I will try to follow and not forget any more. Regarding daily ship life, I saw the importance of the structure and routines we are following – it’s our own little universe here and a clear distribution of tasks and works keeps it running. Apart from my new skills, I am gaining most from the social aspect on board: Working with my hands has direct results which make my mistakes visible without delay — something I rarely experienced in my other life – and I am forced to deal with them immediately. Similarly, 16 people on a 44m ship teaches you a totally new way to resolve conflicts — hiding is just not an option. The extremely limited space causes a very condensed life and within days and weeks, a couple of strangers turned into a happy little family with an incredibly strong feeling of community. No secrets can be kept on the ship and you quickly give up trying. From my observation, this results in everyone being more himself then ashore and the life at sea fells more ‘real’, more intense and, thus, somehow more free. I can also definitely say that my benchmark for measuring what is normal has shifted a lot towards weirdness. Accepting working hours from 0:00 to 4:00 or pulling up a seawater bucket before using the toilet and considering this as totally normal happened only within a few days. 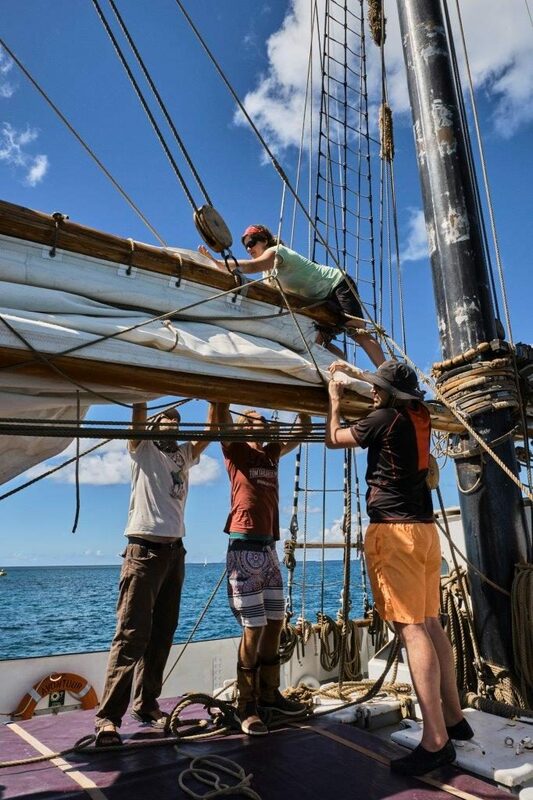 What I enjoy most in everyday life on board is to see how we can do all of the work on the ship with only our hands: be it hoisting up a heavy sail, 90m of anchor chain, moving wine barrels in our cargo hold, or, giving our deck a fresh paint. This feels so good. I also love the movement of the boat, watching the swinging topmast against a background of stars or clouds or steering this 44m ship at 2:00 in the morning with nothing more in my view than the sea and stars; these moments often stand above all other things in life. But I also don’t want to miss the experience of a crashing wave breaking over us in our little Biscayne storm — feeling like someone poured a 200l bathtub full of water onto your head and back. Or, having a lot of fun cleaning the kitchen floor heeling over so much that only wrapping your leg around a table leg and securing the cleaning bucket with one hand prevent you from sliding into the opposite corner. ‘Keep fun and laugh it up!’ is also an important lesson. In conclusion, I can say that I found on board the Avontuur a life I had apparently always looked for — just without knowing it. I have an intense feeling of being at home here and can’t imagine a better place to be at the moment.